As AOR from 2012-2014, Siteworx was engaged in redesigning the full suite of Time Warner Cable’s digital properties. 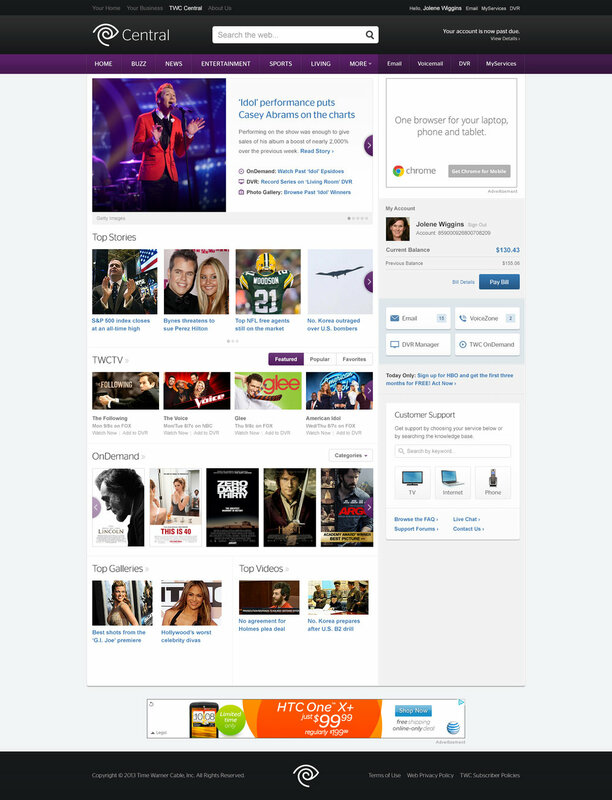 I was tasked with the redesign of their customer portal, TWC Central. A special thanks to Michelle Morley for her contributions to the IA/UX effort.